Let your content look great! This is a useful plug in to build full featured and fully skinnable containers. The container can be set to draggable, resizable, collapsable and minimizable. 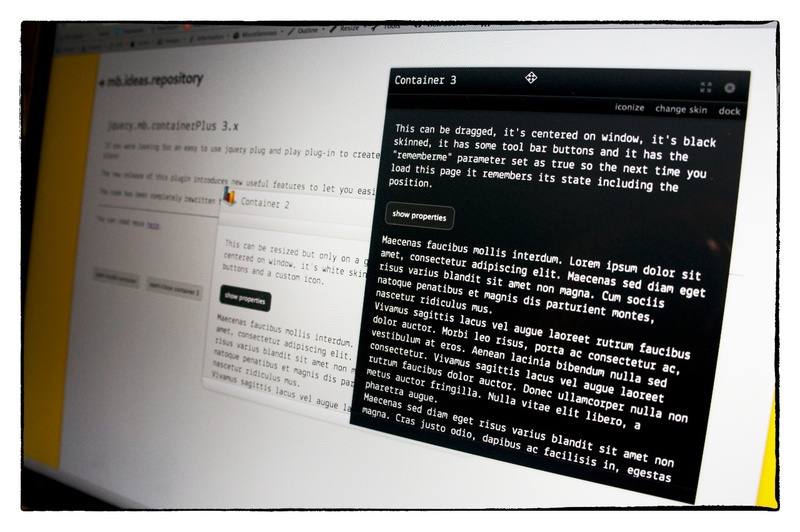 Added “autoresize” method to adapt the container to the height of the content. Refined the behavior of the container if initialized as “iconize”.